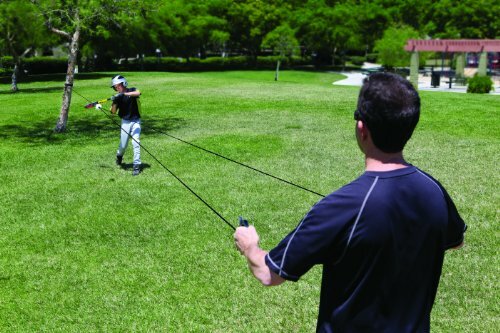 The SKLZ Zip-N-Hit Baseball Trainer helps teach batters ‘top-half’ hitting, while reinforcing a level swing. Practice hitting a variety of pitches at different speeds, without having an actual pitcher on the mound. With no fear of getting pegged by the ball, you can focus on the batter’s stance, swing, eye tracking, and overall technique. Set your players up for success before they step up to the plate, improving their batting average and giving them more confidence for the game. The Zip-N-Hit is a fun way to work with real skills. The long line rope system is easy to use; simply pull the cord apart to “zip” the pitch down the line. You can either attach it to a stable post, chain link fence, or tree with the attachment clip and strap, or you can use a teammate or coach to “pitch” to you. 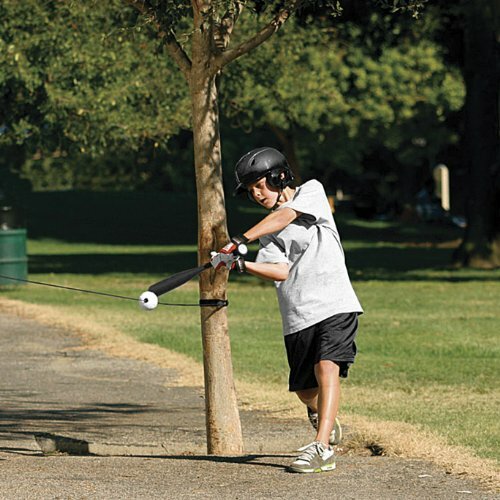 The easily portable, convenient Zip-N-Hit teaches confidence, power, and overall better hitting technique for youth baseball and softball players. 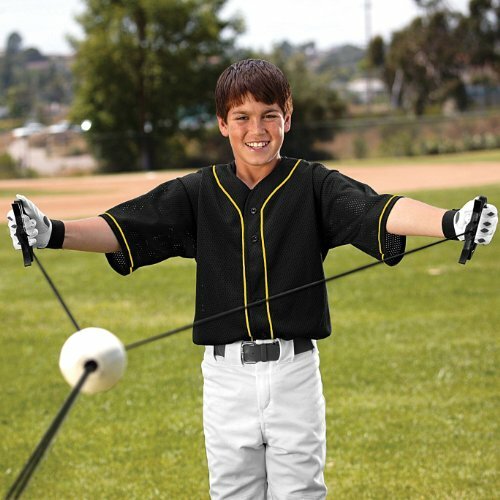 Have fun and improve your baseball skills with the Zip-N-Hit baseball trainer.BETTER SWING DYNAMICS. Get a better analysis of players stance, eye tracking, and swing as they watch the ball come down the line. Without the fear of getting pegged by a fastball, you can fully focus on your players technique, as you set them up for success for their in-game hits. BATTING PRACTICE, WITHOUT A PITCHER. 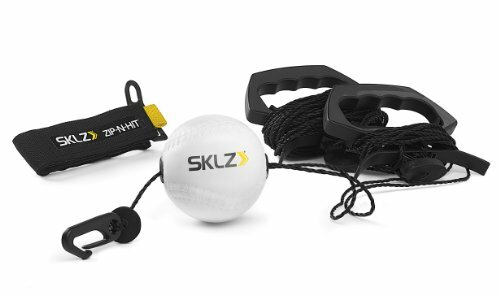 The SKLZ Zip-N-Hit is a great training aid to improve swing pace, level, and timing. It’s the perfect batting trainer that “throws” curveballs, sliders, and changeups. 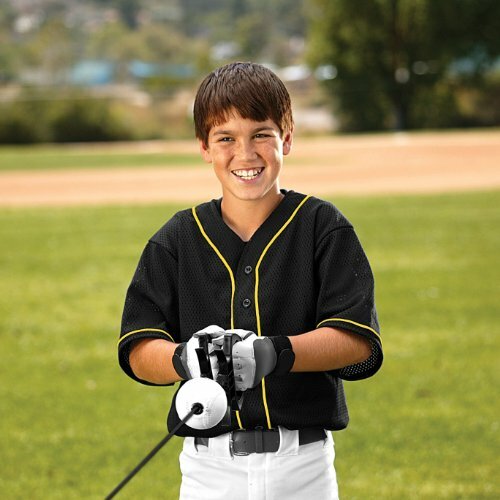 Now you can get batting practice with all types of pitches, without needing a pitcher. COMPACT AND PORTABLE. Imagine a portable batting cage that fits into the size of a baseball glove. That’s what you get with the portable Zip=N-Hit Baseball Trainer. 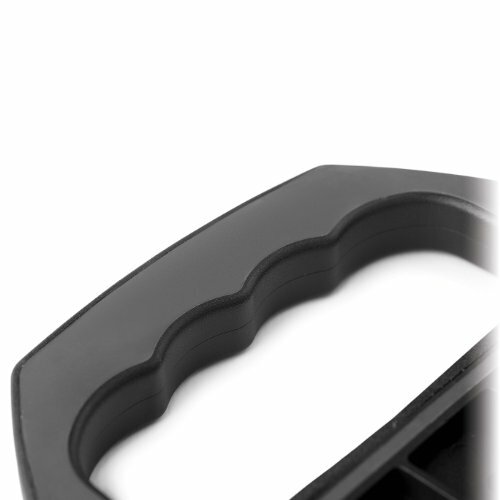 The attachment clip and strap make it easy to practice almost anywhere.